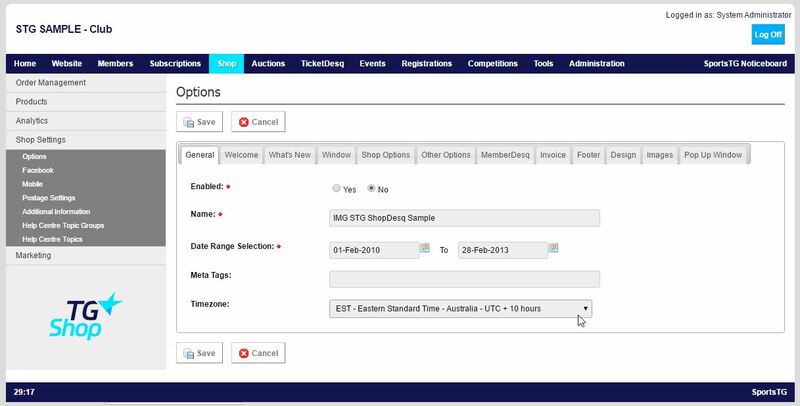 Shop is set to automatically default to AEST as it's timezone, so you can change the timezone to match where your Organisation is placed within the Options area. 1. To make these changes, go into Shop in your Console and then select Options from the left menu. 2. Click Edit and on the first tab at the bottom is the Timezone. 3. Select the correct timezone for your location and then click Save. This time will now be the one that displays on your Store, as well as on your customers' receipts.